Cori Leigh Mann taught us how to take care of ourselves last week. 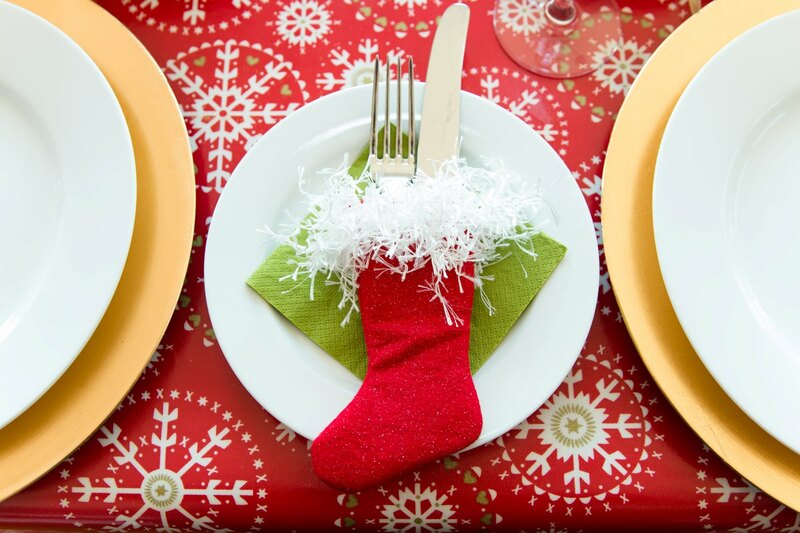 This week she takes care of our bellies by sharing the best of her family’s holiday recipes. Tis the season for gathering with friends and family around a table full of delicious foods prepared with love and care! Are you looking for new additions to your Christmas cooking and baking recipes this year? If your family is anything like ours during the holiday season then you most likely enjoy many festive family traditions! My mom has been at the heart of all we enjoy at Christmas. She has made for decades a wide variety of special foods we’ve enjoyed for many years! 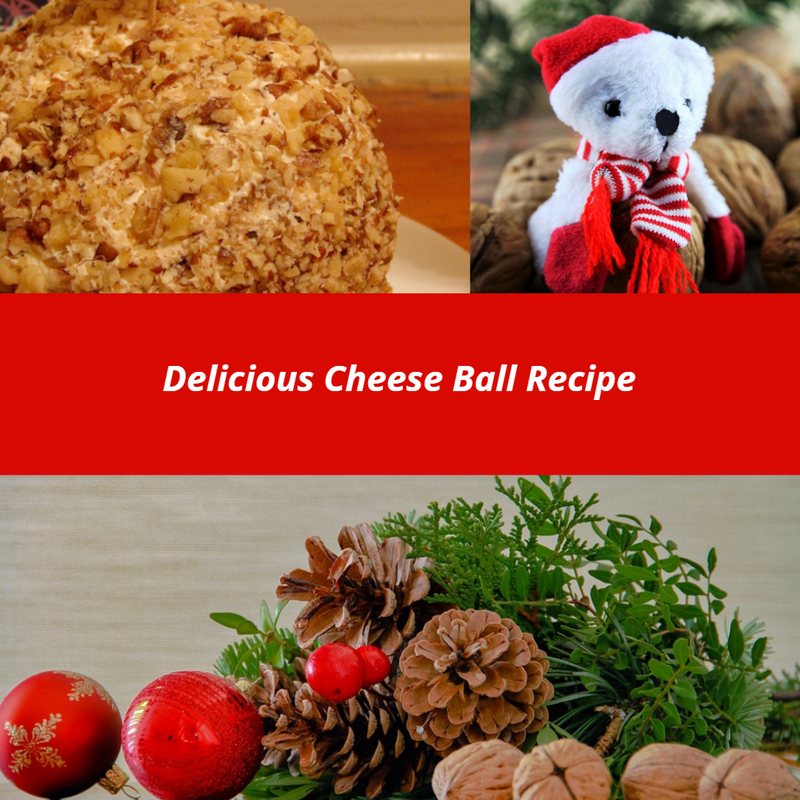 Her cheese ball, shortbread cookies, and stuffing among a few of my favorites! In this post, I share 5 of our traditional family recipes guaranteed to tickle your taste buds and enhance your Christmas season menu! You’ll fall in love with these cheese balls! My mom has made these for years and they are so delicious! Note: We use the Maclaren Imperial Cheddar Cheese for ours here in Canada. Black Diamond Sharp or Extra Sharp Cheddar cheese tub. Black Diamond Sharp or extra sharp Cheddar cheese. 1 brick of Philadelphia Cream Cheese. 4-5 drops of Worcestershire sauce. Dark brown crushed nuts. Walnuts are best but you can use any dark crushed nuts. Mix together the cream cheese and sharp cheddar cheese with the 4-5 drops of Worcestershire sauce. Take half the mixture and roll into a ball. Place on a dinner plate. Then roll your next one. Take another dinner plate and put on it some of your dark crushed nuts. Roll the first cheese ball in the nuts until covered. Repeat for the 2nd cheese ball. Wrap the cheese balls in saran wrap and place in the refrigerator. Serve with crackers and grapes to make a decorative platter and enjoy! These are melt in your mouth shortbread cookies and so easy to make! You can make them more festive by using Christmas cookie cutters or use a cookie press with attachable shapes. 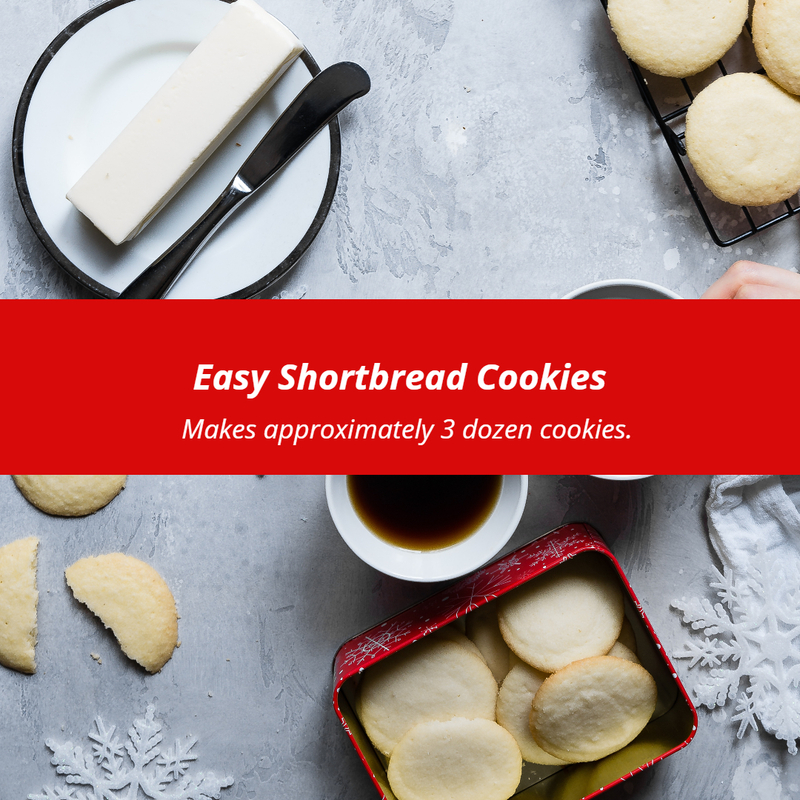 This shortbread cookie recipe has been in our family for many years. They are a popular treat that everyone enjoys! This year my mom made over 30 dozen of these cookies and gave them out to people as gifts. She has to make more because they are already gone! Mix together the ingredient using an electric mixer or knead together. Use a non-stick cookie sheet. Roll into small balls and put onto a non-stick cookie sheet. Flatten each one. Add one chopped piece of a red maraschino cherry to the top of each cookie. Split mixture in half and add sparingly small chocolate chips to one of the batches. Approx. ¼ cup of small size chocolate chips. Place 1 chocolate chip on top of each cookie. My youngest daughter became vegan over 4 years ago. At first, it was a challenge to figure out what I could make her that she’d love for a dessert. Pure cocoa became my best friend for making her chocolate treats. 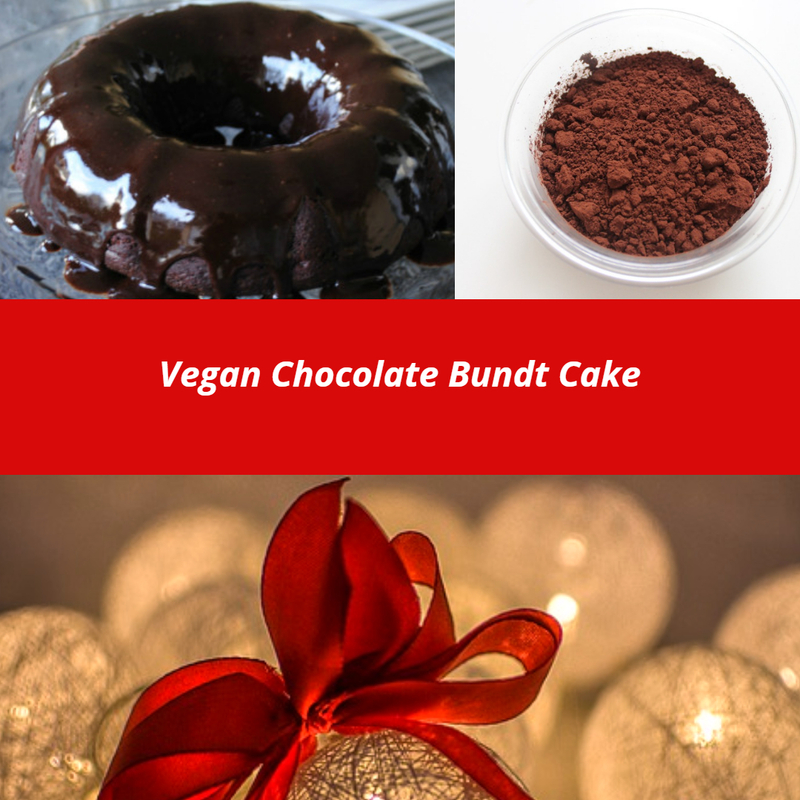 This is one of the best chocolate cupcake and Bundt cake recipe that can easily be converted to a non-vegan recipe. It was originally found on Chowhound – I altered the recipe which was originally intended for just cupcakes. I reduced the sugar measurement and changed the oil to the extra virgin olive oil and it turned out amazing! This recipe can be used for 12 cupcakes instead of cake by cutting the recipe in half. 24 cupcakes use the same measurements as in the cake recipe. If interested in non-vegan you can simply omit the vinegar, soy/almond milk. Add instead regular milk. 1) In a large bowl: Whisk together soy milk/almond milk, vinegar, sugar, oil, and vanilla extract. 2) In a medium size bowl: Mix together the baking soda, baking powder, salt, cocoa powder, and flour. 3) Add the dry ingredients to the wet ingredients mixture. Top with a chocolate cocoa Icing drizzle. Non-vegan variation to the chocolate drizzle: Use ½ cup of cocoa powder, 1 cup of icing sugar, ¼ cup of butter, a few teaspoons of water. Note: Be careful with the water to not add too much. Beat together into a frosting. Add more icing sugar or cocoa powder to the mixture if need be to get the desired consistency for your frosting. Put the following ingredients in a measuring cup. Pour as a chocolate drizzle over the Bundt cake. Add 2 or 3 teaspoons of water. until you get the right consistency for your drizzle. Optional Decoration: Sprinkle with shredded coconut for the snow effect. Wash and slice 4 or more strawberries to put around the top of the cake. Put the cake in the refrigerator for one hour and enjoy! 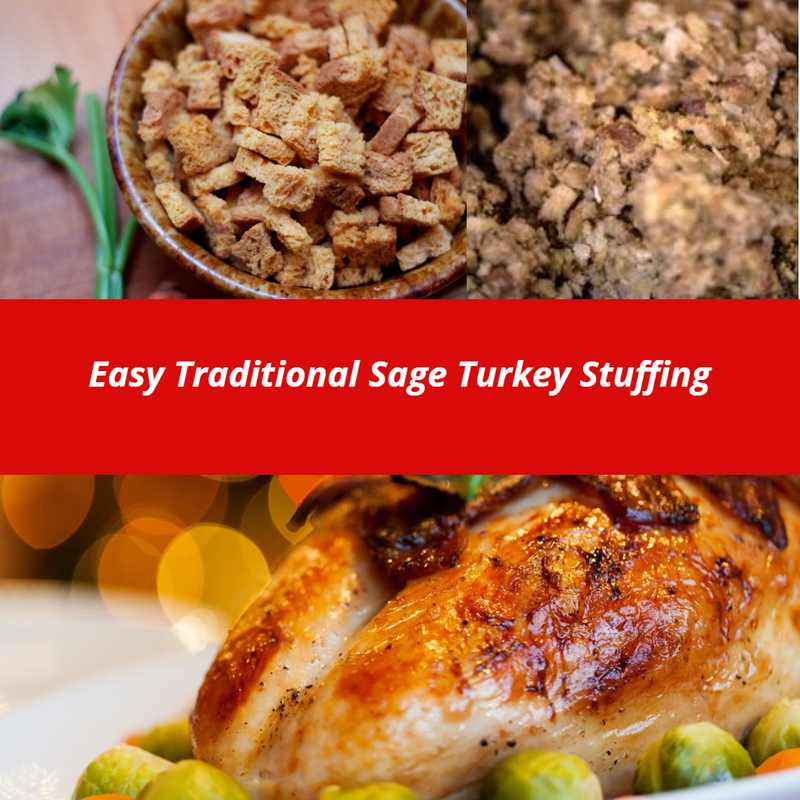 If you like sage stuffing you’ll be in love with this one! This is the signature traditional sage turkey stuffing that my mom has made every year for well over 50 years! The recipe is based on a white or whole wheat loaf of bread but you can use your bread of choice. 1 loaf of bread – white or whole wheat. ½ cup of butter softened. You can add more butter if needed. ½ teaspoon of salt and a sprinkle of pepper. ½ or whole onion chopped. Mix together: Use a big spoon or spatula to gently mix together. Stuff the turkey with your stuffing mixture. Put the mixture into an oven safe dish and cover with tin foil. Or you can simply place on tin foil and wrap in the foil your stuffing mixture. Then put in the oven for 30 minutes at 325-350. If you like a super healthy stuffing you’ll enjoy this one that my sister Lisa made up several years ago. 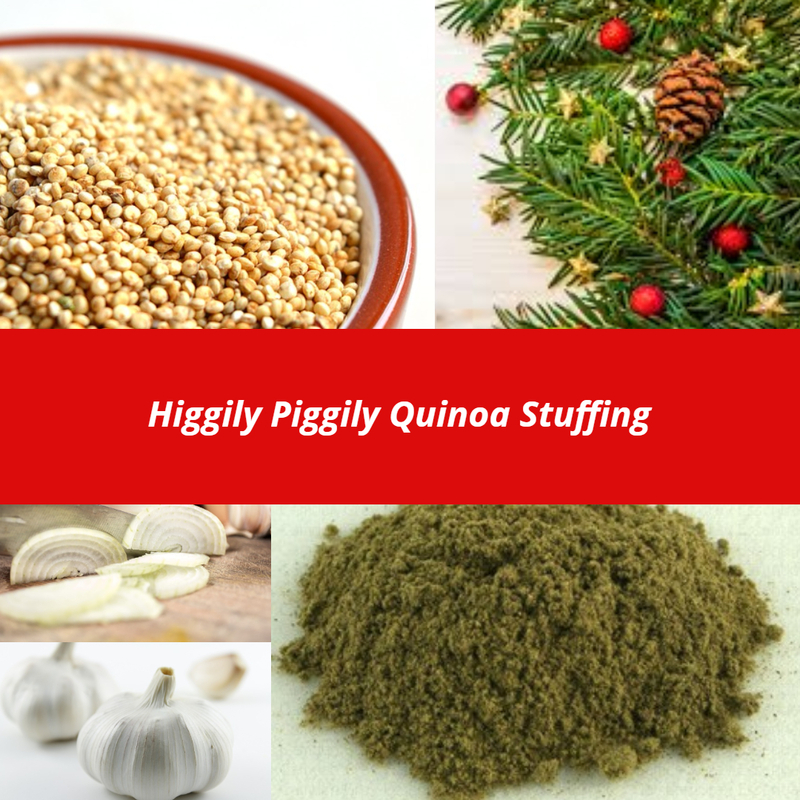 Using her comical sense of humor she creatively named this “her higgily piggily quinoa stuffing“. I love this full-flavored dish she brings every year to our family Christmas dinner table. Note: There are no actual measurements for this recipe as you will simply add to taste the right amounts to the quinoa of all the listed ingredients. 1. Boil the quinoa as per instructions. 2. Sauté onion, garlic, sage, salt and pepper in a pan. 3. Put the cooked quinoa in an oven safe dish. 4. Add the onion, garlic, sage, salt and pepper mixture to the quinoa. 5. Add in pine nuts. 7. Mix together. Put in the fridge and warm up in the oven when needed. Have a healthy holiday season! Wishing you and your family a Merry Christmas and a Happy New Year! What is your most loved holiday recipe you and your family enjoy at Christmas? Tell us in the comments. Need a recipe to top the greens? Check out this salad dressing recipe. 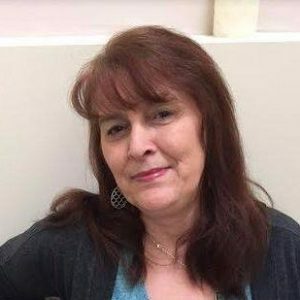 Cori is a mom to 2 grown daughters and grandmother to 2 grandchildren. She is a writer, blogger, and an advocate for those living with anxiety disorders. Thanks and those five recipes will make me spent TWO HOURS per day on the treadmill!